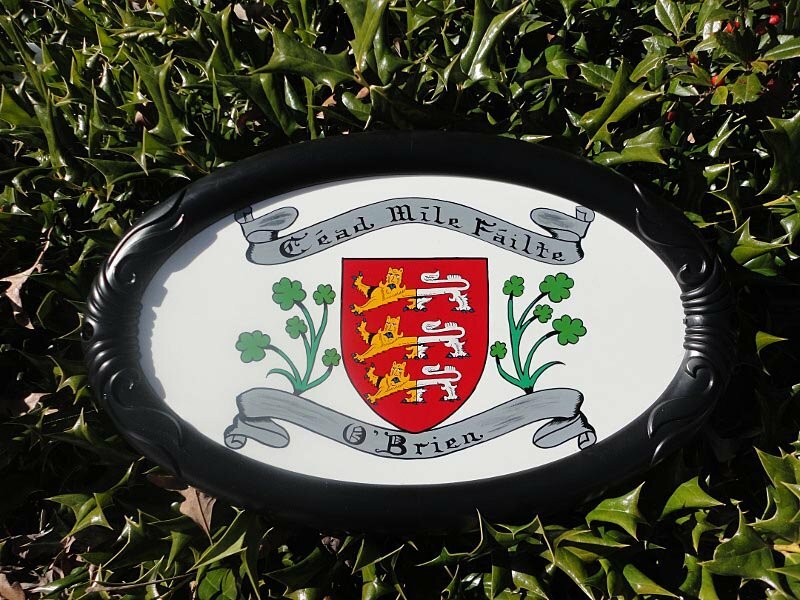 Welcome people to your home with this Coat of Arms House Plaque. 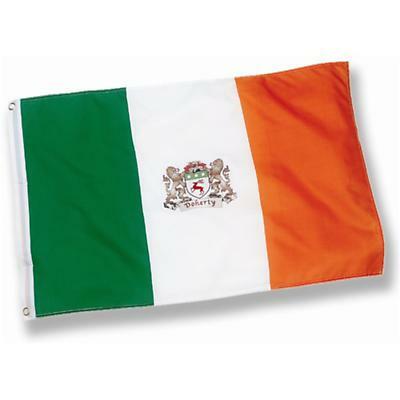 'Cead Mile Failte' is Gaelic for 100,000 Welcomes! The plaque also features your family name and coat of arms. 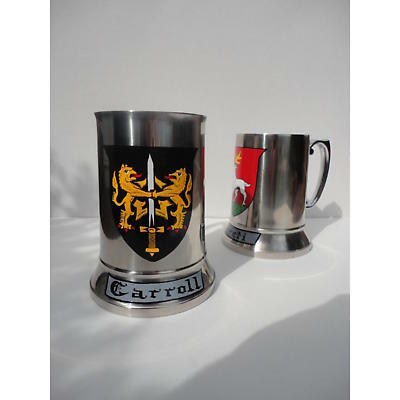 Simply provide the family surname (and country of origin, if known), and we’ll do the rest, carefully researching your family surname for its authentic coat of arms, then hand-painting the coat of arms on the shield. Using hand-painted calligraphy, your family surname is recorded below the coat of arms. 15" x 10". Made of weather-resistant material. Shipped separately - please allow 2-4 weeks for delivery. We regret that this item cannot be delivered to destinations outside the USA and Canada at this time.